How to Decide Which Essential Oils to Use Without Putting Your Baby at Risk! 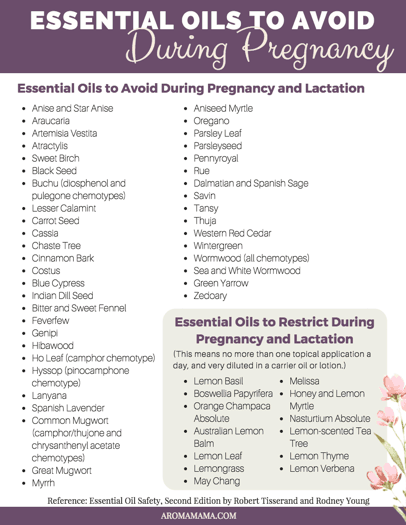 • Get your printable with the complete list of essential oils to avoid during pregnancy and lactation. • Plus, get the complete list of essential oils to restrict during pregnancy and lactation. • You'll also receive the Essential Oil Dilutions Cheat Sheet with access to the full Resource Library.